I’m so over the British Summer. It’s not the weather, which, as always, has been changable, it’s not the school holidays, it’s the fact that I’ve just been at work. Constantly! we booked our summer holiday early (we booked it on Boxing Day last year) and since then I’ve spent the last 7 months watching the clock in a boring office. Most days I literally count the hours until home time. 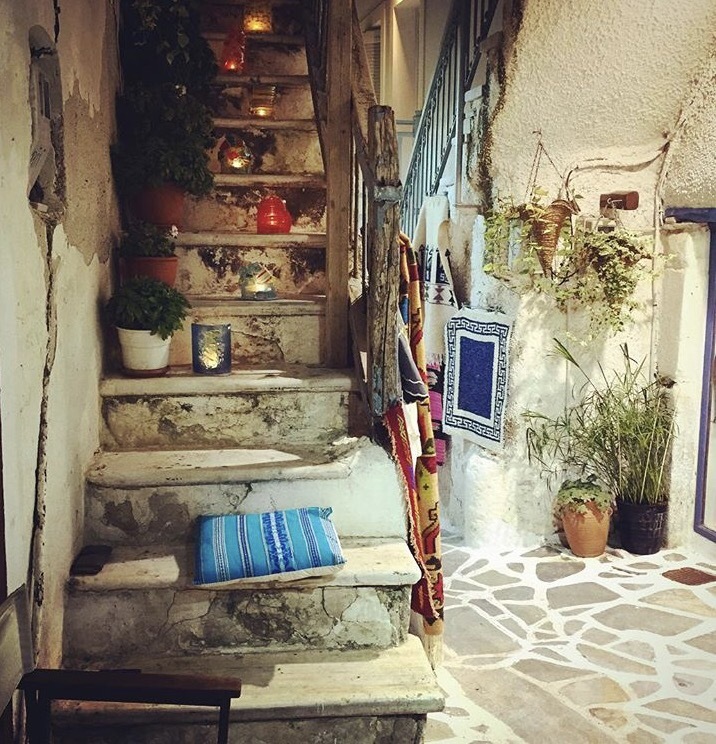 ….but for now I just want to go, in 16 days we will be jetting off to the magical Greek Cyclades, full of swimming pools, beach bars, wonderful Greek history, blue roofed white buildings and sun sun sun. We’re flying to Mykonos. 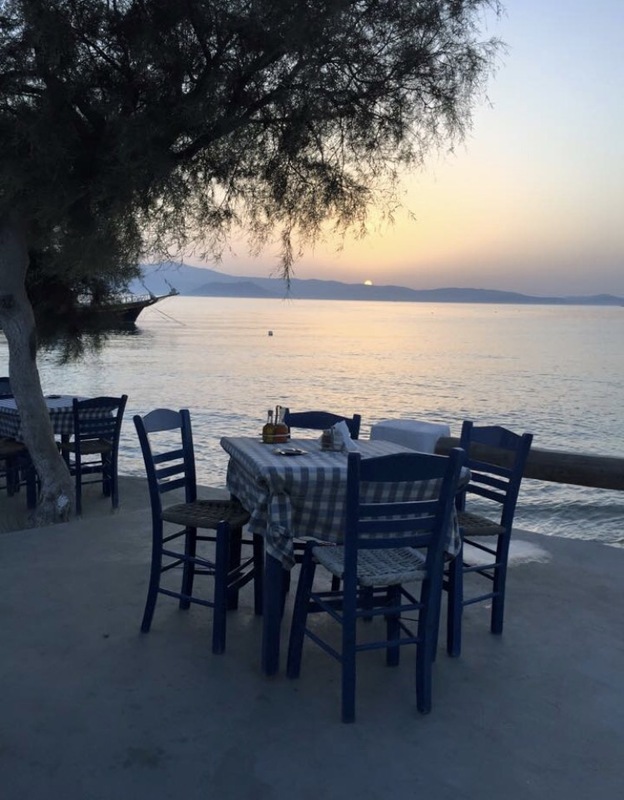 In the past we have stopped over for a night in Mykonos before getting a Blue Star Ferry in the morning to Naxos, this time we are only stopping for some lunch in Mykonos before hopping on the ferry. I can’t wait to get to Naxos, this time for the first time we are staying in a hotel that we have stayed in before, down a little side street, just off the beach, 5 minutes from our favourite bar, with the best strawberry daiquiris in the world (believe me, they’re out of this world) Naxos is the best place for the ultimate chill, I’ll spend my days swimming in the hotel pool, reading a book under a beach umbrella, shopping and getting lost in the lanes of the old town, watching the sunset over the portra and exploring the ancient ruins. 2 weeks of pure relaxation and hopefully no stress. Before going home we get to spend two days on Santorini. 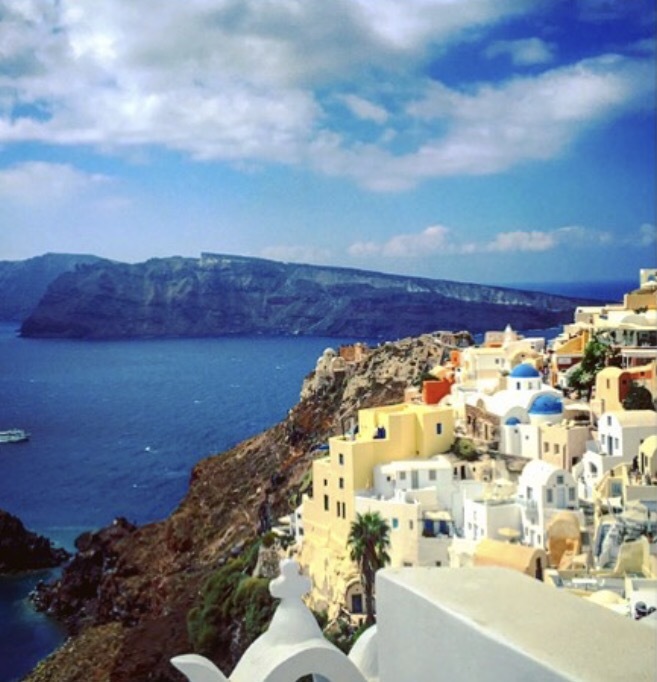 We went to Santorini for a couple of days on our honeymoon and I wasn’t overly impressed, sure, it’s beautiful and the views are breathtaking but I found it too busy. We’re going away with my in laws this time and they really want to see Santorini, I wouldn’t chose to go back but I’m looking forward to hopefully seeing some different parts of the island this time. Mr Gypsie and I have booked a one night stop over for just the two of us on the hidden and romantic island of Koufanisia? I can’t remember a time I felt as at peace as the two days I spent on that island during my honeymoon. Pure magic. Hopefully we will also squeeze in a daytrip to another island like Paros whilst we are there. Anyone got any suggestions? Wow, that sounds great! Great views, historical and cultural sights, relaxation by the beach, and delicious adult beverages. I love the beach but I love exploring too, so it sounds perfect.